Norman Mackenzie's abilities as musical collaborator, conductor, and concert organist have brought him international recognition. 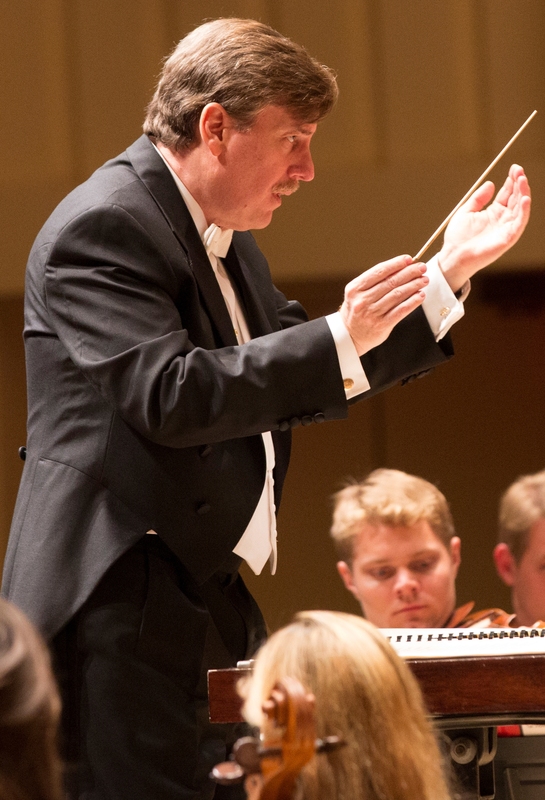 As Director of Choruses for the Atlanta Symphony Orchestra since 2000 and holder of its endowed Frannie and Bill Graves Chair, he was chosen to help carry forward the creative vision of legendary founding conductor Robert Shaw to a new generation of music lovers. At the ASO he prepares the Choruses for all concerts and recordings, conducts holiday concerts annually and works closely with ASO Music Director Robert Spano and commissioned-composers in the creation and premiere of new works. His leadership was rewarded in 2003 with Grammy awards for Best Classical Album and Best Choral Performance for the ASO and Chorus recording of A Sea Symphony by Vaughan Williams, in 2005 with another Best Choral Performance Grammy for the Berlioz Requiem and in 2007 for Best Opera Recording with Golijov's Ainadamar. Mackenzie also serves as Director of Music and Fine Arts for Atlanta's Trinity Presbyterian Church, and pursues an active recital and guest conducting schedule. Mr. Mackenzie has been hailed by The New York Times as Robert Shaw's "designated successor." In his 14-year association with Shaw (1985-1999), he was keyboardist for the Atlanta Symphony Orchestra, principal accompanist for the ASO Choruses, and ultimately assistant choral conductor. In addition, he was musical assistant and accompanist for the Robert Shaw Chamber Singers, the Robert Shaw Institute Summer Choral Festivals in France and the United States, and the famed Shaw/Carnegie Hall Choral Workshops. In 1996 Mr. Mackenzie made his New York conducting debut in a concert sponsored by Carnegie Hall, leading the Robert Shaw Chamber Singers in a critically acclaimed performance at the Cathedral of St. John the Divine, substituting for Shaw on short notice. In 1999 he was chosen by Shaw to prepare the Carnegie Hall Festival Chorus for Charles Dutoit, and he was choral clinician for the first three annual workshops after Shaw's passing. In 2011 he and Robert Spano led the Carnegie Hall Workshop, culminating in a performance of the Berlioz Requiem. A native of suburban Philadelphia, Mr. Mackenzie made his debut as a pianist with the Philadelphia Orchestra at age 12, and as an organist at age 20. He made his New York recital debut at the Fifth Avenue Presbyterian Church. He holds degrees from the University of the Arts in Philadelphia and Westminster Choir College. He has prepared choruses for performance under Robert Spano, Donald Runnicles, John Adams, Roberto Abbado, Charles Dutoit, Bernard Labadie, Nicholas McGegan, John Nelson, Alan Gilbert, Yoel Levi, Robert King, James Conlon, and Sir Neville Marriner. A frequent recitalist and clinician for conventions of the American Guild of Organists and the American Choral Directors Association, he has also been featured on National Public Radio's "Performance Today" and Minnesota Public Radio's "Pipedreams" broadcasts. Mackenzie's acclaimed Telarc recording of a cappella sacred music (featuring the Vaughan Williams Mass in G-Minor) represents the ASO Chamber Chorus' first recording apart from the orchestra. Mackenzie also prepared the ASO Chorus for its acclaimed 2003 debut and successive 2008 and 2009 performances in Berlin with the Berlin Philharmonic (in Britten's War Requiem, Berlioz's Grande Messe des Morts and Brahms' Ein deutsches Requiem, respectively), conducted by ASO Principal Guest Conductor Donald Runnicles.